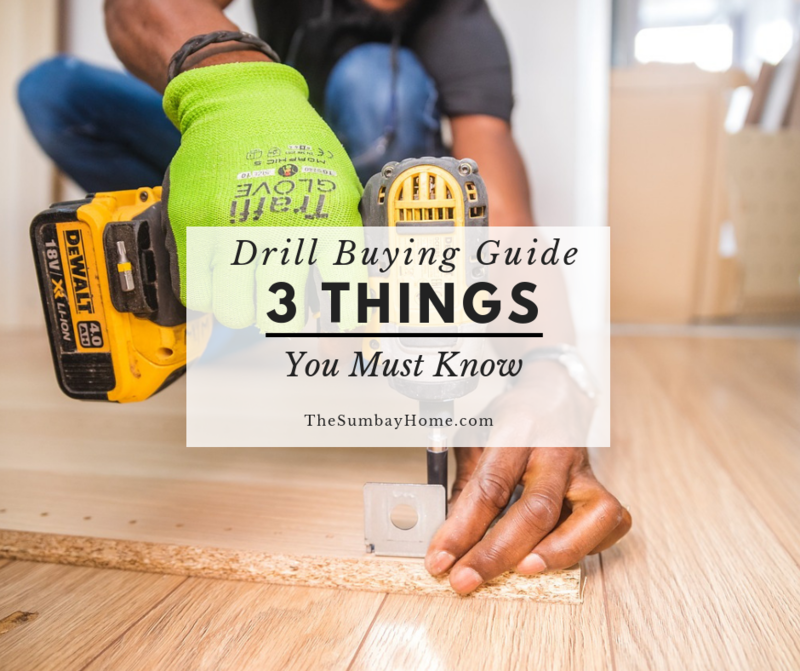 When it comes to buying a cordless drill there are so many to choose from. This can make the task a little challenging. The main things you want out of your new drill is power, battery life, and probably affordability. These tips will help you select the best cordless drill or tool to fit your needs. You just have to consider these 3 things before making your decision. Let’s face it you can get a power drill anywhere from $30/40 to hundreds of dollars. But what’s the difference? There are quite a few. Let’s start with power. Power on a cordless drill is measured in volts. When looking at cordless drills this is one of the first things you’ll see on the package listed with a number. If it was an 18-volt drill it would say either 18v or 18-volt on it. You might find some with less than 18 volts, but I suggest staying away from anything under 18. These days 18 to 20 is standard, and that’s all you need. But you also need at least that much. I recently tried to use someone’s 12-v drill, and could barely drill through a piece of wood with it. The next thing you want to look for is Ah. The batteries that come with your new cordless drill will have an Ah rating. The higher this number is, the longer the battery will last during use. Certain manufacturers make many different size batteries that are interchangeable with their products. So even if your new drill only comes with a 1.5Ah battery, you have the option to purchase larger ones in the future. I’m not going to get all technical on you with the Ah. You just need to know that the higher the Ah, the longer the battery will last. I have some 1.5Ah batteries that I normally use and they last for hours of continuous use. When I pop in my 4Ah batteries, they literally last more then twice as long. Next, you’ll want to consider what kind of batteries your new cordless drill comes with, and you want to get one with lithium-ion. This is the future of batteries, and the future is here now. Do not even consider buying a NiCad battery. I don’t know if they still make them, but they shouldn’t. There are affordable options out there with Lithium Ion, so that’s the way to go. Lithium-ion batteries outperform NiCad in every way. They hold their charge and don’t drain power on their own. If you don’t use the battery for a few months, it will still hold it’s charge. They last longer during use. Remember that 12v drill that I mentioned I used earlier. I drained a full battery it less than 10 minutes of regular use. Finally, lithium-ion batteries charge much faster. My 1.5Ah batteries charge in about 30 minutes and 4Ah batteries take a little over an hour to charge. If you are really looking for high-quality tools, look for brushless. Brushless motors adjust the power for the current use needed while using the tool. This feature can make your battery last longer, and also extend the life of your tools. I consider this an added perk, not a necessary one. But if you use your tools very often and can afford the extra cost of getting brushless, have at it. I don’t currently own any brushless tools but would love to in the future. I have great functioning tools and have no need to currently replace them. Down the road, if the price is not too outrageous, I will probably upgrade to the brushless options. The cost comes down to what you are ok with spending on a cordless drill. They have very affordable options out there but I haven’t tried them. My suggestion is to spend what you can afford but that can mean something different to everyone. If you are going to use this regularly, don’t go and get the cheapest one you can find. For a little more money you might be able to get a much better tool. Also, don’t overspend on something that you don’t really need. One of the things I like about my tools is that they are interchangeable. 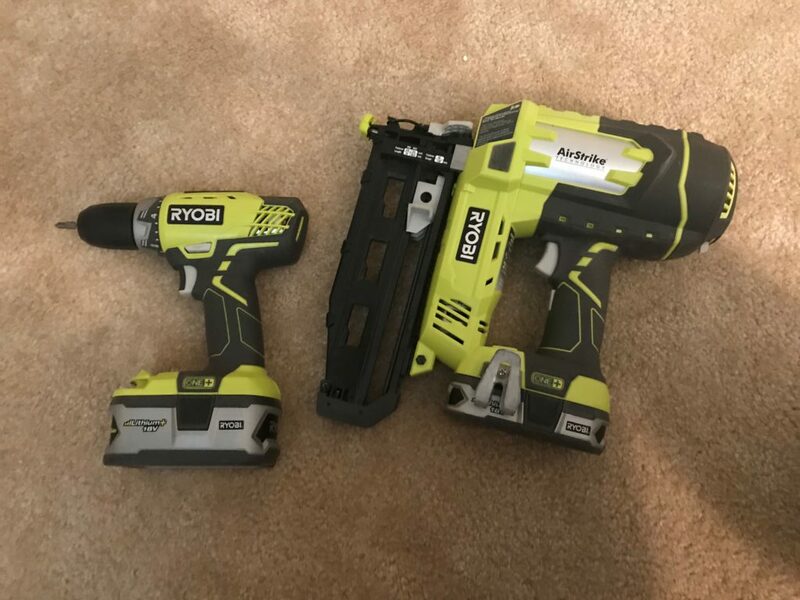 The brand I personally use, Ryobi, makes over 125 different tools that use the same batteries. So when I’m adding tools to my collection, I can just go and pick up the bare tool (without a battery and another charger). This allows me to save a little on the cost of the tool, and all the batteries I have are interchangeable. 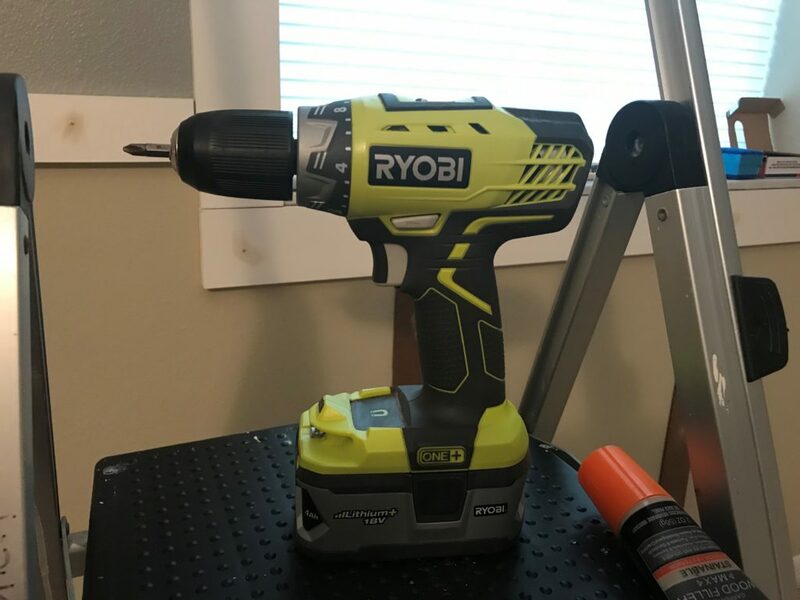 Ryobi tools might not be for everyone, but they work great for me for these reasons. There are plenty of good brands out there, and you just have to find the one that’s right for you. 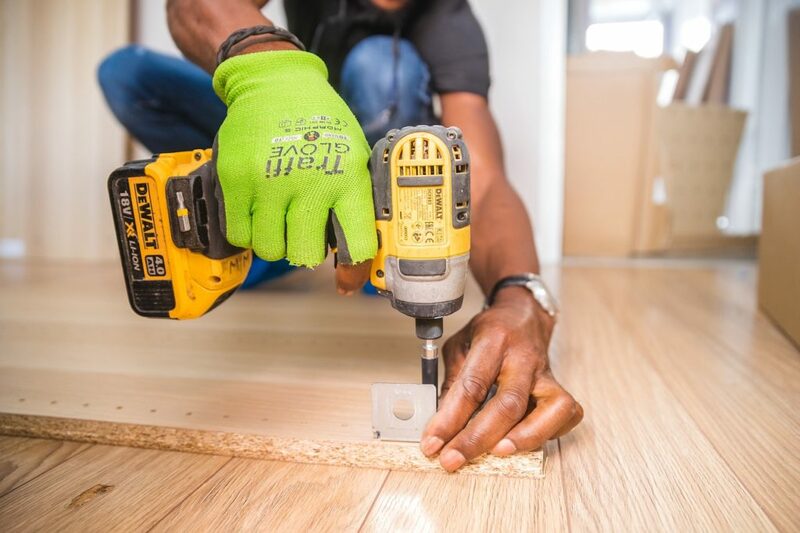 If you don’t think you are going to need many other tools, you could spend a little more and get another brand like DeWalt or Ridgid that might be built to last longer. Just keep in mind that you might not need something like this if you are only using your drill to put a few things together occasionally. I have always loved the idea of cordless tools and the convenience they provide. In the past, they just weren’t dependable. Yes, you could use a drill, but nowadays there’s a cordless option for almost every tool out there. And due to the higher volt tools and lithium-ion batteries, they work great, and they’re affordable. I have countless cordless tools that I use daily, and they all perform to my highest expectations. Regardless of what you decide to buy, as log as it’s 18 + volt with lithium-ion batteries you should be happy with the tool. Just consider spending a little more money if you plan to use it often. Also, if you plan on adding more tools in the future check out what else the manufacturer makes that’s compatible with the one you plan to buy. Here are a few links to some good cordless power tools below if you would like to check them out. If you liked this post, please save and share it, and don’t forget to let us know what you think. Still have some questions? Let us know what they are, and we’ll be happy to help.